wanna make another author’s life hell?? | Kris + Books = Good. *Sometimes*. wanna make another author’s life hell?? Yeah, I thought so. Hehehe. Clare London! Come on down! No excuses. Read these now! You know who I’m talking too! Step 1. Virtual folk choose different elements to be included in a story. Step 3. Hand over the lot to Clare, who has managed to carve out 2 weeks in her busy schedule to write a short story incorporating your choices. This literary masterpiece *no pressure though, Clare* will then be posted on the blog. a) which actor is the best James Bond? c) if Number 10 Downing Street really is a portal to another world? Ready to play?? Leave a comment with your choices or email me at krisngoodbooksATgmail.com. You have until 5pm Tuesday 2 June (Perth Western Australia time). 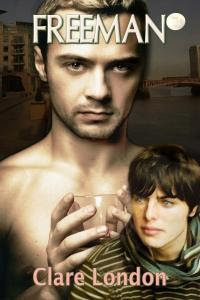 This entry was posted in a choose your own m/m story, clare london. Bookmark the permalink. 30 Responses to wanna make another author’s life hell?? Ok – on to my picks! Ohhhh, Kris, sure as hell you will end up in the hell for this. And your happy readers too – who can resist this wonderful opportunity to be mean? LOL. I thought isome of the references might send a few people to Google… and I just realised I should have numbered them for you. Oh well. You think so, Matthew. Hmmm, I hear they have good parties down there. Hehehe. Did you steal traffic cone from Craig? I do NOT want to see it used as it was discussed today. Clare, do you hear me? NO INSERTION OF TRAFFIC CONES!!!! I’m firm on this. Tam, after reading Craig’s blog, the traffic cone has been in my head all of the freaking morning. Dear God. There are some visuals you just shouldn’t get early in the day. Ooh, you’ve chosen all my favourite British things. How can I decide? *ponders*. Food: b (obviously. Hub makes the best yorkshire puds ever). Can’t wait for this – good luck, Clare! Jen: Clare mentioned that she was hoping to give the virtuals a taste of England so I thought I would help her out a bit and liasied with the Mumma. Thus proving once and for all that any evil streak is definitely hereditary. LOL. OMG, where on earth do you come up with these choices, lol, too funny!! Looking forward to reading this one. Good luck Clare!!!!!!! Where do all the multichoice answers come from Kris? Your imagination is very scary, did you know that? Geez. You all are making it sound like I spend hours trying to come up with choices just to mess with the minds of authors. Do you really think I would do something like that?? Umm ye… I mean NO of course no!! Why would you even have that idea?? Humph! Sissy is a bad girl! AND her Mumma is not evil! I only helped you with one or two of the choices. Poor Clare… Will she get to nominate the next author? Lily: Call me a cynic but how else was I to interpret – and I quote – “OMG, where on earth do you come up with these choices”?? Well, Lily?? Mumma: Don’t be acting all innocent and motherly. Her choices were “Please Sir, can I have some more?” and “the Crown Jewels”. Both suggested with a nudge, nudge wink, wink I might add. My thanks for the due acknowledgment of my greatness and humble apologies for doubting you. Tam, don’t pick on Lily for admitting her love for me. <>Geez. You all are making it sound like I spend hours trying to come up with choices just to mess with the minds of authors. Do you really think I would do something like that??<>Ummm. That’s a trick question, isn’t it? “Nicer than those other two”? Ahem. Yes, that comment did not go unnoticed. <>[grumbleeffingwereeffingkangaroogrumble]<>Ah, but I prayed very hard, KZ, for justice and mercy. And yes, no effingwereeffingkangaroo’s *coughcough*. Don't listen to K Z. This is seriously fun…. for me. MWAHAHAHAHAHA! !